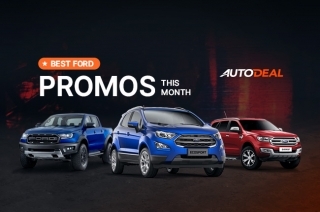 So you want a subcompact crossover and have around P1.2 million to spend? 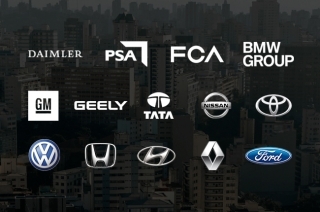 Sounds like a tricky situation, especially when you’re the type to narrow it down to Nissan and Suzuki. Granted, there are those who want the utility of a small crossover but don’t want the size restrictions of a sedan. 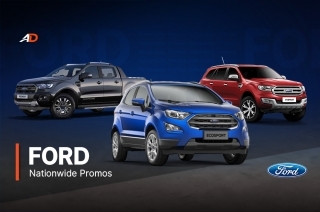 All-wheel drive or 4x4 capability also isn’t a factor, as your car needs are strictly on-road affairs. 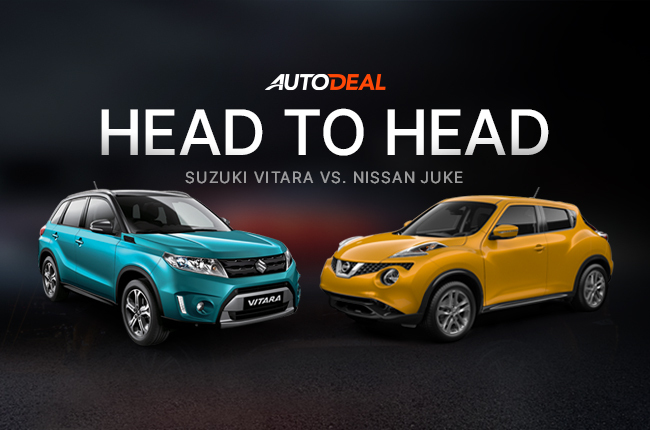 In this head-to-head, we’ll be putting the Nissan Juke against the Suzuki Vitara, both great sellers in this segment, and each offering up their own strengths and weaknesses. Will one of the pioneers of the subcompact crossover segment, the Nissan Juke, triumph over the newer Suzuki Vitara? Or will the new kid on the block overtake the quirkiness of the Juke? The differences between these two subcompact crossovers become night and day when it comes to how they look. The Nissan Juke’s exterior is definitely polarizing, partly due to the fact that it tries to combine curvy Nissan Z car elements and a crossover body style. The three-piece lighting design at the front fascia is also a trend that the Juke contributed greatly to. It also sits lower than the Vitara, giving it a more hunched silhouette. Whichever way you look at it, though, it’s a definite head-turner, especially if you go for the more spruced up editions. The Vitara has a more traditional boxier body style, adopting a few styling elements such as a clamshell hood and two-tone roof to add a bit of flair. It also is longer, wider, taller, and has 5 mm more ground clearance than the Juke. The Vitara is definitely the safer design choice between the two, but some might find the rear to be slightly uninspiring. The Juke’s coupe like design can make the cabin feel cramped, especially for the rear passengers. The dashboard is a mix of plastics of the silver and black accent variety. Thankfully piano black isn’t used extensively, and the fabric seats in the Juke are nice. Leatherette is used in the steering wheel, and the entire cabin is a little bit more adventurous than the Vitara, adopting orange lighting elements and an integrated control interface for the buttons. The Vitara’s bigger dimensions mean that there’s more room all around for passengers, and the panoramic sunroof adds to the airiness of the cabin. The dashboard is entirely plastic, but the execution isn’t as seamless or as nice as it could be. There are some silver plastic accents, but the nice steering wheel and leatherette seats with nubuck touches down the middle are a big plus. A centrally located analog clock is a quirky touch. This is the part where the Vitara starts to pull away a bit. 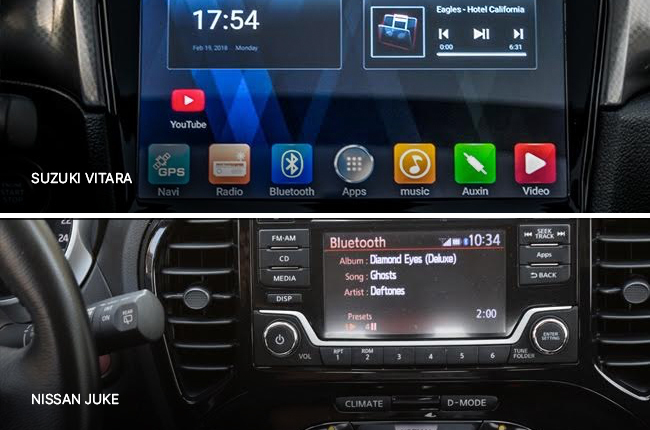 Offering up a massive 10-inch touchscreen unit that offers Bluetooth, HDMI inputs, Aux, and USB playback of devices. No Android Auto or Apple CarPlay, however. Automatic climate control, front and rear parking sensors with a camera, steering wheel audio controls, speed sensing door locks, keyless entry, push button start, and cruise control can be had in the Vitara. You also get automatic LED headlights, rain-sensing wipers, and an auto-dimming rear view mirror. That’s a nifty set of convenience features in the Vitara. 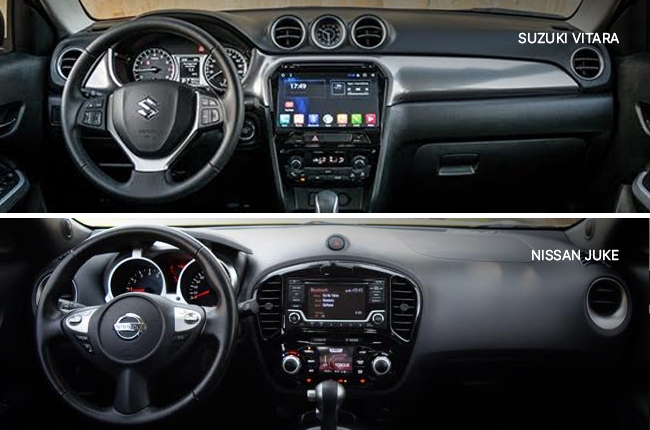 The Juke adopts a standard 2-DIN audio display with the usual connectivity options such as Bluetooth, USB, and Aux. You do get automatic climate control, steering wheel audio controls, push button start, keyless entry, cruise control, and driving modes. The Suzuki Vitara gains the upper hand here with a full complement of six airbags in the top trim. ABS with electronic brakeforce distribution (EBD), hill start assist, and stability control are thrown in, as well. The Juke gets two airbags and ABS with EBD. Both cars get immobilizers and security alarms as standard, together with ISOFIX mounts. When it comes to pricing, the Nissan Juke comes in at P1,021,000, and comes in only one trim level, without counting the limited edition colors and themed body kits. The Suzuki Vitara starts at P913,000 and goes up to P1,148,000 for the top level trim. 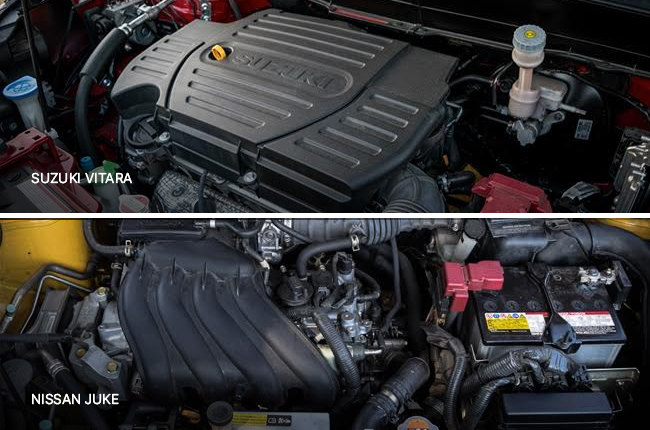 Both are equipped with a 1.6L gasoline engine, with the Juke making 116 hp with 154 Nm of torque, and the Vitara making 115 hp and 156 Nm of torque. 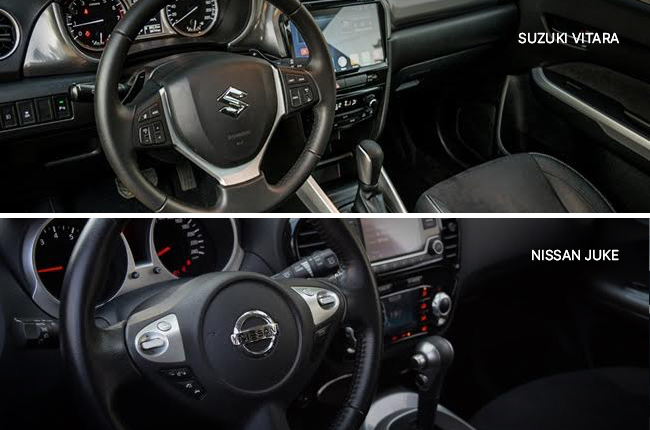 In the Juke, power is transmitted to the front wheels by a CVT, while the Vitara gets a six-speed automatic transmission. For the amount of technology and safety features that the Vitara can bring, that extra P235,000 can be an easy pill to swallow. And if you’re looking at the Juke, the additional P127,000 needed to get the top of the line Vitara isn’t bad at all. 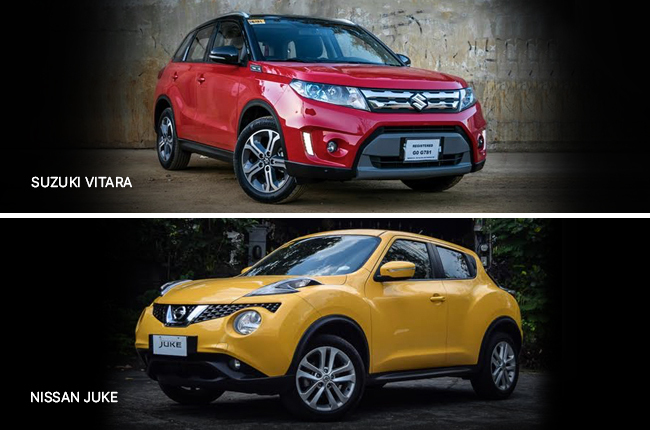 So if you’re looking at the most comprehensively equipped of these two subcompact crossovers, the Vitara is your pick. But if you’re looking for a more striking and unique appearance, then the Juke might be for you.